Luke and Rob have completely opposite opinions of Brian and whether their new co-worker brings disaster or salvation is solely in the eye of the beholder. Gradually we discover that neither one actually knows what Brian looks like, when he will arrive or where to look for him. In fact, both characters know nothing about Brian. The CEO of the company's words of wisdom are simple, "Brian means Brian." In a time of great turmoil our topical story is unique whilst also containing a very important message. Waiting for Brian is about the polarisation of opinions which aren't grounded in any real facts. This is becoming a characteristic of today's world, with Brexit being just one example of this. Our film highlights the absurdity of this situation by making humour out of a dark and serious matter. Waiting for Brian is a Satirical Drama, played with dry humour, as the comedy arises from the ridiculous nature of the characters entrenched beliefs and is portrayed through their ludicrous actions. We are truly passionate about this story and now we need your help to make it happen. Any donation however big or small will be gratefully received and put towards making this film the best it can be. 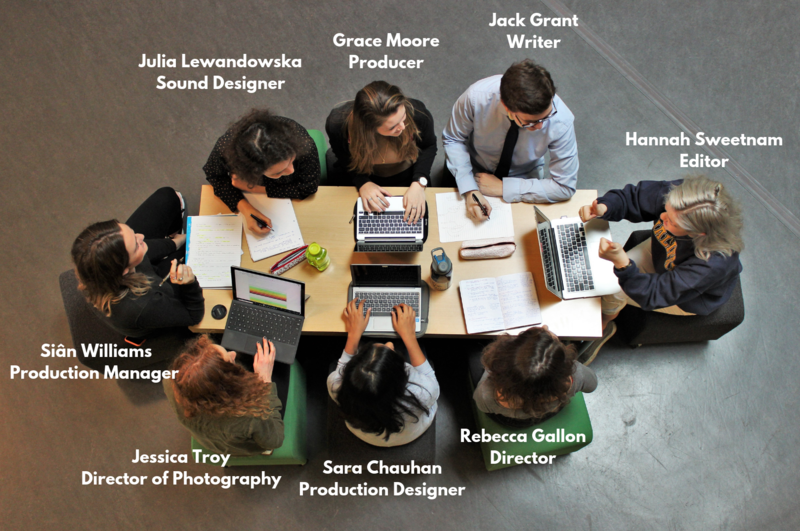 Our team is made up of 8 final year students studying for a BSc in Film and TV Production at the University of York. Our crew has already made dozens of short films and worked on professional productions. We are currently working hard towards our biggest project so far and are eager to produce a short film worthy of a film festival upon completion. Now we need your help! To create the wonderful world of Waiting for Brian we have put a lot of thought into the visual look and feel of the project. Giving justice to our story we are focusing on extremely absurd and hilarious visual humour. As the story goes on events in the office get more and more ludicrous, causing us to focus heavily on the visual design of the world. To simulate this real office environment we require a large assembly of main characters and extras. 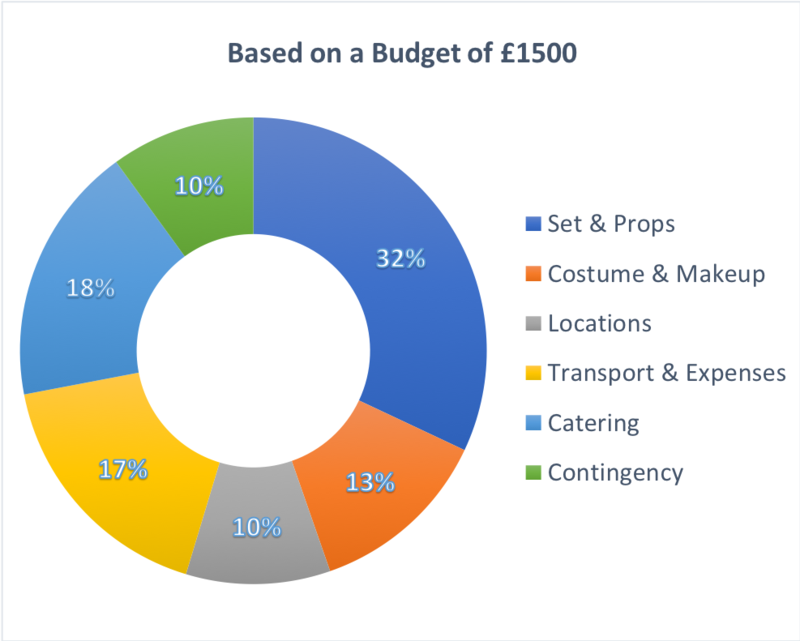 Our ambitious sets and casting requires us to aim for a target goal of £1,500, which cannot be done without your help and donations. This story means a lot to us and is our chance to say something truly important to the world whilst also showcasing our unique skills and talents to an industry we are passionate about. We have the skills and enthusiasm needed to make this project great, but we need your help to make it happen. We want to keep you up to date with the project through our online presence. Follow us on our social media pages for regular updates and exciting behind the scenes sneak peaks throughout the filmmaking process. Even if you can't donate you can still help us to succeed. Please share this project with everyone you know to support our film. The more money we can raise, the better we can make our project. So please help us to make this happen. We'd be incredibly grateful for any help and have some fabulous rewards to thank anyone who donates, whatever the amount you give. Select this reward to receive a personalised thank you shoutout from our social media pages for helping us towards our goal. Select this reward to receive a personalised e-card with an exclusive photo of the crew & all of the above. Select this reward to receive a digital download of the finished film & all of the above. Select this reward to receive a contributor credit on the finished film and a digital download of a behind the scenes video, as well as all of the above. Select this reward to receive a handwritten personal letter of thanks from the crew and to have the opportunity for your name to be hidden somewhere in the finished film. Including all of the above. Thank you for your incredible generosity! Select this reward for the exclusive Brexit bus prop from the finished film. Please note this reward will be on a first come first serve basis. All previous rewards are included.